14" x 11" x 2", acrylic and phosphorescent acrylic on panel, 2014. 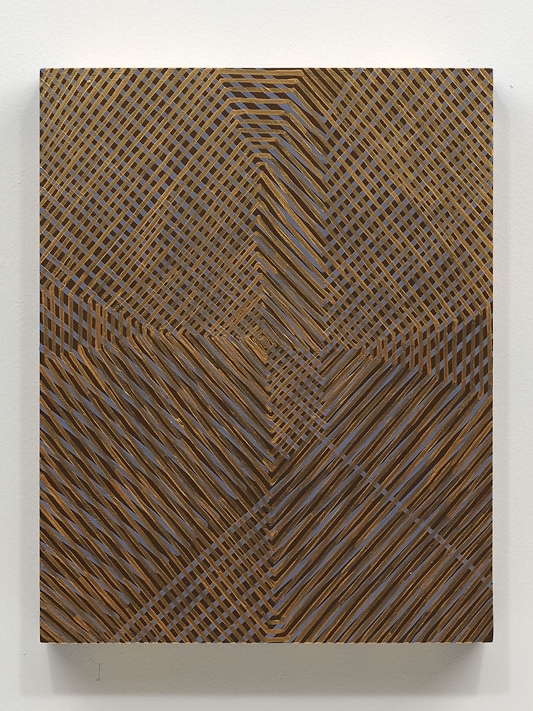 14" x 11" x 2", acrylic and metallic acrylic on panel, 2014. 14" x 11" x 2", acrylic, metallic and phosphorescent acrylic on panel, 2014. 14" x 11" x 2", acrylic , metallic and phosphorescent acrylic on panel, 2013. 28" x 24" x 2", acrylic, fluorescent and phosphorescent acrylic on panel, 2014. 14" x 11" x 2", acrylic, fluorescent and phosphorescent acrylic on panel, 2014. 14" x 11" x 2", acrylic on panel, 2013. 28" x 22" x 2", acrylic on panel, 2013. 14" x 11" x 2", acrylic, fluorescent and metallic acrylics on panel, 2014. 14" x 11" x 2", acrylic on panel, 2014.
side view, 14" x 11" x 2", acrylic on panel, 2014.